CHARLOTTE, N.C. – Multiple teams of federal, state and local law enforcement agents and officers arrested 44 individuals over the course of the past two days, in a coordinated takedown that began early Monday morning, announced R. Andrew Murray, U.S. Attorney for the Western District of North Carolina. Of those arrested, 12 face federal gun and drug charges and 32 are charged with state offenses. Federal arrest warrants have been issued for three more individuals, bringing the total number of those who will be prosecuted federally to 15. Wayne L. Dixie, Special Agent in Charge of the U.S. Bureau of Alcohol, Tobacco, Firearms and Explosives (ATF), Charlotte Field Division; North Carolina Secretary of Public Safety Eric A. Hooks; and Chief Kerr Putney, of the Charlotte-Mecklenburg Police Department (CMPD), join U.S. Attorney Murray in making today’s announcement. "This morning’s arrests are the result of a joint eight month investigation into repeat offenders who disregard public safety, violate our nation’s gun and drug laws, and pose a threat to the community," said U.S. Attorney Murray. "U.S. Attorney General Jeff Sessions directed U.S. Attorneys’ Offices across the country to reinvigorate Project Safe Neighborhoods (PSN), a program that has been historically successful in reducing violent crime. Today’s coordinated action is one component of my office’s comprehensive PSN strategy, which focuses on bringing together all levels of law enforcement to address violent crime, and partnering with our local communities to create an environment where all citizens can safely live, work and prosper." "This operation is a great example of the ATF/CMPD Violent Crime Task Force working with our investigative partners to remove violent individuals and career criminals from our communities," said ATF Special Agent in Charge Dixie. "These operations play an important role in keeping our community safe. Crime fighting and prevention is more than a strategy, it’s a priority. As we work to engage young people in positive ways, we also will continue to focus on violent, repeat offenders who bring illegal drugs and guns into our neighborhoods," said Charlotte-Mecklenburg Police Chief Putney. "We will continue to work together with our state and federal partners, along with our formal and informal community leaders, to identify and remove dangerous criminals from our community." "This collaboration between federal, state, and local law enforcement sends a clear message that our state has zero tolerance for those committing violent crimes," said Public Safety Secretary Hooks. "If you choose to engage in this kind of criminal activity, you will be arrested and brought to justice." Abdul Nafir Barilford, 35, residence unknown. Mark Jefferson Belton, 29, of Charlotte. Amos Lamar Burch, 34, of Charlotte. Rodney Funderburk, 38, residence unknown. Elontrae Ali Glenn, 23, of Rock Hill, S.C.
Rodriquez Harris, 43, of Charlotte. Rakeem McCullough, 28, of Charlotte. David DeAngelo McNeil, 37, of Charlotte (in federal custody). Rodriquez Neal, 23, of Charlotte. Rashad Taylor, 26, of Charlotte. Montique Williams, 30, of Charlotte. 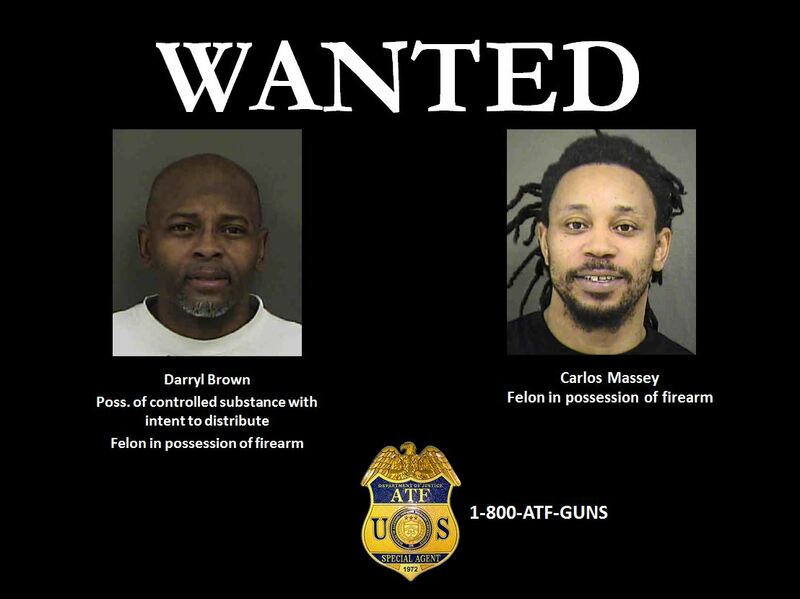 The ATF/CMPD Violent Crime Task Force worked jointly with CMPD’s Vice & Narcotics unit, the U.S. Marshals Service, the North Carolina Department of Public Safety, and federal and state prosecutors to identify violent and repeat offenders in the Charlotte-Mecklenburg area engaging in illegal firearm activity, drug sales, and other criminal acts. Over the course of the investigation, law enforcement recovered more than 27 firearms and illegal substances, including heroin, cocaine, crack cocaine, methamphetamine, marijuana, and MDMA (ecstasy) pills. Law enforcement seized more firearms and controlled substances while executing arrest and search warrants over the past two days. The charges contained in the indictments are allegations. The defendants are presumed innocent unless and until proven guilty beyond a reasonable doubt in a court of law. In making today’s announcement, U.S. Attorney Murray commends the ATF and CMPD for their investigative efforts, and thanks the U.S. Marshals Service, the North Carolina Department of Public Safety’s Adult Correction and Juvenile Justice, Special Operations and Intelligence Unit, and the Mecklenburg County District Attorney’s Office for their invaluable assistance throughout this investigation. Assistant U.S. Attorney Lambert Guinn, of the U.S. Attorney’s Office in Charlotte, is in charge of the federal prosecutions.